I love LOVE avocados! Here is an easy recipe to enjoy and get more fiber in your diet. 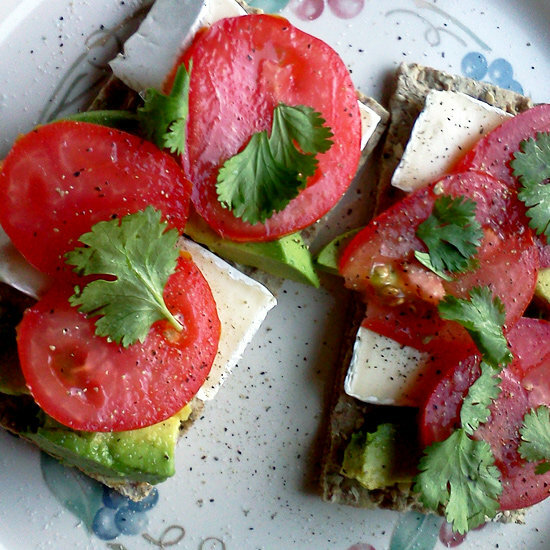 If you're in the mood for a little crunch, top whole grain crackers with a slice of brie, avocado, fresh tomato, cilantro, and sprinkle with a little salt and pepper. If you're not a fan of brie, substitute provolone, goat cheese, or another type of cheese.